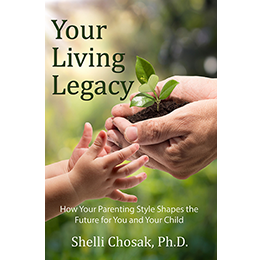 “Your Living Legacy” is about empowering parents to become more self-aware and confident in guiding their children to become emotionally healthy and successful adults. The book’s central focus describes 20 different parenting styles. Self-assessments enable the reader to identify their personal style and evaluate the impact on the child’s development as well as the parent-child relationship. · Helpful hints and tips to provide guidance on improving your parenting skills. This is an essential resource for any parent or caregiver who wants to take advantage of creating opportunities for positive development and enduring relationships. As a child growing up in Detroit, Michigan I was shy and curious, often afraid to speak up. I became a good listener. It had a fortunate outcome. By talking less, I learned more, particularly about other people. One of the most important things I discovered was that while each of us is unique, we have many common needs and desires. Deep down, we all long to be accepted for who we are and want to be loved and valued. Those two needs drive most of our behavior, in both productive and non-productive ways. This realization was the incentive for me to pursue a career in psychology. I went back to school and earned advanced degrees. I also continued to observe people and their interactions, an abiding interest of mine. As I devoted time to learning more about myself, my self-acceptance grew and my shyness disappeared. My career as a therapist enhanced my empathy for all the struggles we go through seeking to feel good about ourselves and our lives. My own life events also played a role in my education and growth as a therapist. My children lost their father–and I lost my husband– to cancer when they were 5, 9 and 11. Understandably, we all experienced significant trauma. I was left with the sole responsibility of raising three children while trying to heal from the loss. It was an important lesson in learning to separate my pain from my parenting responsibilities. Fortunately I was in the process of obtaining my Master’s degree in Psychology at the time, and had a large, well-informed support system. What helped my parenting the most was paying close attention to my children and what their unique needs were, as well as what I was doing to help or hinder them to meet those needs. It was one of the toughest challenges I faced because it required me to go deep inside to look at the real reasons for my actions, not always liking what I saw. This was an essential factor in discovering some of the ways I could contribute to their healthy development and well-being. I also learned the necessity and value of attending to my own needs. Because I didn’t neglect myself, I had more energy and clarity to help them in the ways they needed. Now that my kids are grown and self-sufficient adults, I can clearly see how that huge effort paid off. They continue to face their own life challenges with courage and determination. Our relationships with each other are open, honest, loving and supportive. Shelli Chosak is an expert in human behavior. Her lifelong passion, in addition to her three grown children and five grandchildren, is finding ways to achieve Quality of Life. She received her Bachelor’s degree in Psychology from U.C.L.A., her Master’s degree in Clinical Psychology from Pepperdine University and earned a California state license in Marriage and Family Therapy. She later returned to school and obtained a Ph.D. in Organizational Psychology. 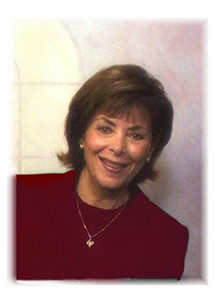 Shelli maintained a private psychotherapy practice in Los Angeles for over 25 years, specializing in family relationships. During this time she developed and directed a university level two-year certificate program training students to become human services workers in the community. She served in this capacity for over twelve years and as a consultant for an additional three years. Shelli also served on the Planning Committee for the L.A. County Bar Association’s Family Law Colloquium and participated as a panel member at conferences. Shelli currently lives in San Diego and maintains a coaching and consulting practice.